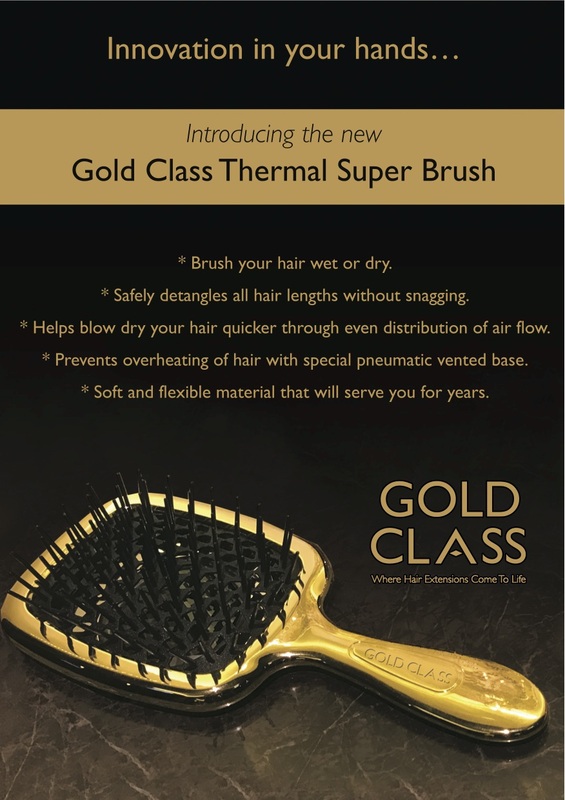 Gold Class are proud to add a new member to their range of luxury brushes: the Gold Class Thermal Super Brush. 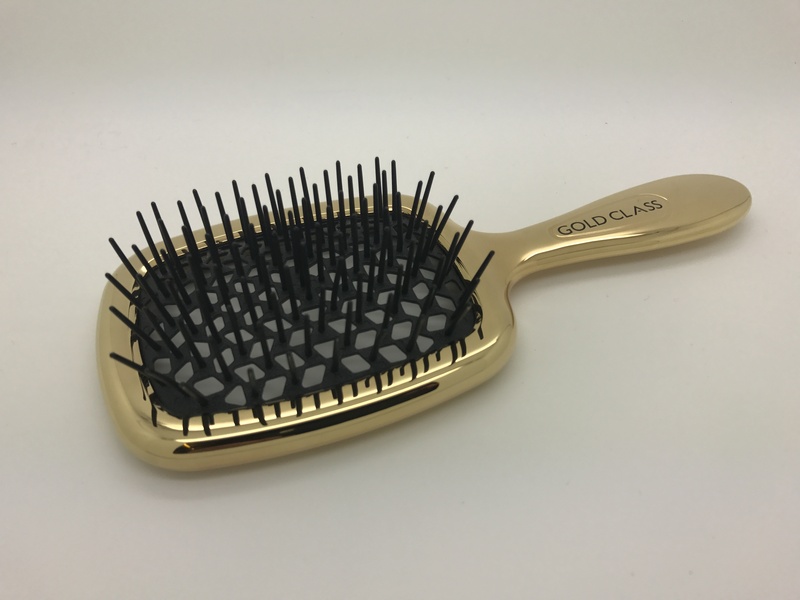 This gold-plated hairbrush is designed to speed blow-drying, add volume and create texture without overheating and damaging your hair. How is this achieved? The unique design of the pneumatic base of the brush is in fact constituted by a vented hexagonal shape which allows even distribution of hot-air from your hairdryer without stressing or drying out the hair. The brush is also excellent for hair masks, brushing wet hair and safely detangling all hair lengths and textures without snagging. Thanks to its soft and flexible material, the brush detangles and tames unruly hair without pulling or breaking the hair shafts. The results: your hair will feel soft, shiny and ready for styling. “We all know the importance of good haircare to make the most of your luscious long locks, so when I saw this unique brush I knew our clients and salons would love this, especially as it works on wet and dry hair and prevents breakage.” – Inanch Emir, founder of Gold Class.